When buying real estate, you may find some unexpected problems. Generally, these issues revolve around plumbing, wiring or sticking doors and windows. Although they aren’t as expensive to fix as other issues, there’s always a possibility that they indicate bigger problems. Although sticking doors and windows aren’t a big deal in and of themselves, these issues can be indications of moderate to severe foundation problems. If you find these issues in real estate, make your way to the basement and look for cracks or dips in the floors and walls. Pay attention to how the floors of the house feel when you walk. If you’re at all uneasy, have an inspector look at the house before you buy. Look up in the corners where the walls connect to the ceiling. Spackled ceilings make issues especially easy to spot, as they pick up water stains or crack and flake. Another place to check is the bathroom, along the bottom of the wall. Tile grout has a tendency to crack or flake, become discolored or loosen with continuous proximity to water. Spotting faulty or old wiring depends on the size of the issue and where it’s located. For instance, a bad socket can be found by looking for darkened spots around the holes. However, it’s impossible to look through the walls to find faulty or old wiring behind them. An electrician will be able to give you a better idea of the wiring in the real estate. Remember, nothing takes the place of getting real estate you’re thinking of buying inspected by a professional. Are you considering purchasing a new home? Let me help you get your dream home at the lowest price. Call your trusted real estate professional. 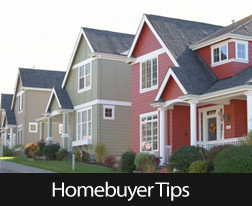 This entry was posted in Homebuyer Tips and tagged Homebuyer Tips,Home Selling Tips,Home Improvement. Bookmark the permalink.